I’d like to get in touch with as many people as possible who have had their tongue split. I’d like to know about their experiences in the real world. Like has it affected in any way negatively on their career. How did they react if someone at their workplace had noticed the split and asked about it? I’d also like to know what they do for a living, and what country they live in. I actually had my own tongue split about a week ago. My dad find out about it, and he’s convinced that it will have a major negative impact on my life. I’d like to get some real proof that this is propably not the case. I don’t have any other body mods (not even piercings or tattoos). Many people lead “normal” successful lives with a tongue split. 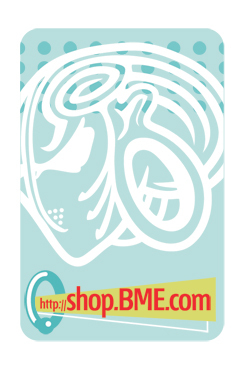 BME experiences will be a great resource for you to read about other people’s experiences with their own splits! I think the best way to prove to your dad that having a split tongue isn’t going to negatively affect your life is to not let it! If you’re an educated, hard working, clean individual there’s no reason that a forked tongue is going to hinder your success in life. Thanks for your answer. I know that I’m going to be succesfull even if some minor conflicts might arise with few people. I myself am a first year university student studying information technology. I also work for an IT company on my spare time. Could someone direct me towards a place to get my tongue split in Arizona? I have it, and have experienced no negative side effects whatsoever. at first it was weird to get use to, but in the long run it is great! i am a performer and use my voice constantly. no one notices unless you point it out or they see a picture and ask. i have had doctors examine my mouth and not notice. Hiya! I simply wish to give an enormous thumbs up for the good information you will have right here on this post. I can be coming again to your weblog for extra soon. I have had mine split for a little over a year. It has in no way effected my life, exept for the first two weeks of healing. I had mine scalpeled and stitched. The first week it was so swollen and sore. I could hardly speek. After about 6 days tho, the swelling had Almost come down and Eating returned to normal. The stitches stayed in for 10 days in total and I found the to be more the cause of any speech problems. Once the stitches came out, everything returned to normal. After the first 6 months, I had the regrowth re cut, this healed really well and caused no problems at all. I work as a plumber in Australia, I visit atlest 4 or more people’s houses every day. I have only had a handful of people realise and ask about if. I am shore more have seen it and noticed it but have not said anything. After the healing I returned to work and was told by my boss that it was lucky he couldn’t notice it as I would have lost my job. That has been my only negative work related problem. My mum was very upset when she found out I was splitting my tongue. She was afraid I wasn’t going to be able to talk again. Once I had it done, she was a little resentful towards me for a while but after a month or two she came around And realised it’s who I am. My other family members found it crazy and don’t understand it.